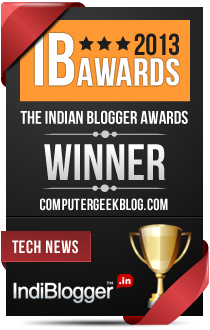 This is Savita Singh Behind the Computergeekblog. I am very pleased to see that you find my blog posts helpful and sharing with others too. I got great responses on all my posts. Apart from this if you want to publish your valuable content on my blog then keep following the below mentioned guidelines and I will get back to you with in 24 hours. We at Computer Geek Blog are a tutorial blog website that provides latest content and useful information on the fast changing and innovative world of design, technology and other web related fields. The blog is a collaborative effort of web designers and web developers who provide valuable content for our website. The blog is updated regularly to provide the latest information to our readers. The aim of our web blog is to provide resourceful information for our readers in the field of web design, logo design, graphic design, web development, advertising and branding. We provide useful information, tutorials, articles of how to and other important top 10 tips in the fields of designing, WordPress, business, technology, blogging, giveaway, web development and affiliates. As we update our geek blog on a daily basis the readers always get the latest information about the techniques, methods and new technologies from our online blog. We provide articles, useful content, tutorials and techniques for the above mentioned areas. As the blog is a result of the collaboration of web designers, web developers, technology experts, business experts and web experts that possess the knowledge and know how in this dynamic industry, we invite such individuals to write for us. If you think that you have a good knowledge about the industry and can contribute and share the knowledge with the readers of our website, please contact the website. Just leave a reply below or visit our contact us page to mail us your details. If you are interested in writing for our website, please send in your details about the experience you possess also information about what type of content you would like to contribute to the website. You can write articles, tutorials, useful tips and tricks or any general information related to various fields mentioned above. For example, you can write about WordPress, photoshop, responsive web design, jQuery, CSS, HTML 5, new technologies and methods, coding, news about graphic design, business blog, technology, blogging, web development and other related fields. It will be a great experience for you to write for our website and a perfect opportunity to share your knowledge with the world. Content should be unique and informative. Content must be about latest and upcoming tech, news and more. Content must have minimum 1000 word count. Duplicate content will not be acceptable. You will get one backlink from author bio only. You can add maximum two informational hyperlinks in the main content.